Does anyone know how long it takes them to ship the Funklub kit? Longer than other items? When did you order it? I don't think they have been shipping anything out over the holiday, so that may account for it. I could be wrong but I thought they were shut down between Christmas and New years. Woke up this morning to an email saying it has shipped. They must have been backed up from the holidays. What are the benefits of the Funklub? 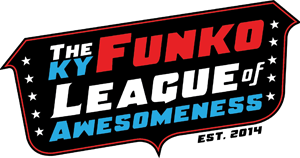 For other clubs we get exclusive access to drops and early notifications of releases, even separate login for exclusives, but at Funko, what is the club good for? Nooklin wrote: What are the benefits of the Funklub? For other clubs we get exclusive access to drops and early notifications of releases, even separate login for exclusives, but at Funko, what is the club good for? There isn't an "official" benefit to the Funklub. You get a number and some little gimmick items and a Freddy Funko pop, but you don't get a "benefit" per se. The Funklub had more significance years ago I believe. I would say however that every real fan of Funko should be apart of the Klub. It might be a thing of the past so to speak, but It's not expensive and kind of neat. We used to get signed certificates when we joined the Klub and those are neat to frame. I joined years ago, but there haven’t been any benefits. I thought it would help with Fundays at the time or I would get a cool certificate, but I was very wrong. Nooklin wrote: I joined years ago, but there haven’t been any benefits. I thought it would help with Fundays at the time or I would get a cool certificate, but I was very wrong. I wish having this would be a benefit to get Fundays tickets. They should do a Funklub only special sale or giveaway. Steelers8452 wrote: Woke up this morning to an email saying it has shipped. They must have been backed up from the holidays. I suggest you send an email to funko support. 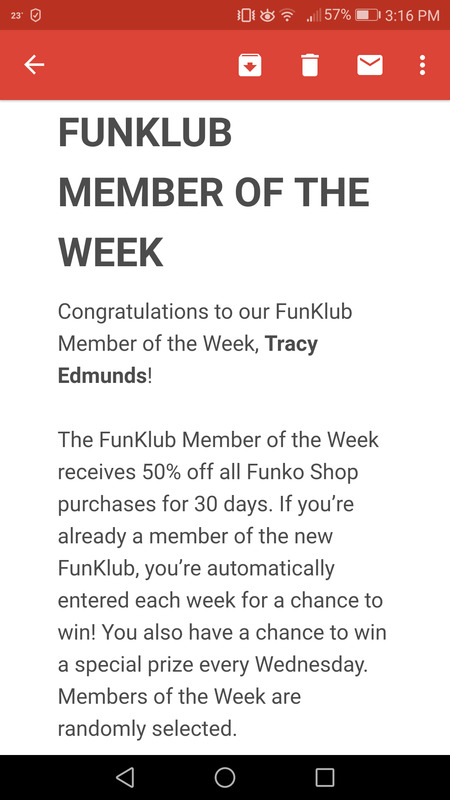 If you look at the Funko emails in the weekly Funko news emails they randomly pick Funklub members to win 50% off the Funko Shop! 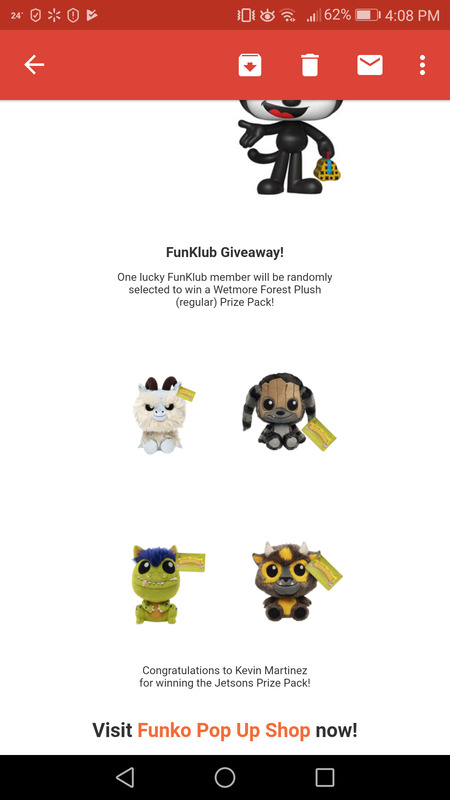 In the Funko Pop up shop announcement emails they pick a Funklub member on Wednesdays to win a prize pack! Ah nice! Forgot about that. They do that drawing every week don't they. I forgot about that drawing as well!! Hopefully the week I win they have protos in the shop!!! Steelers8452 wrote: Does anyone know how long it takes them to ship the Funklub kit? Longer than other items? Is it still available? I haven’t seen much on it now but with the bigger following there must be a new version. Yup I remember seeing those emails with funklub winner for discounts or protos back in the day. I'm curious as well.. can fans still sign up? Yes. They sell the Funklub bundle on their site. I think the only difference in the year in the lapel pin. Do you have to renew each year? I actually got an extra THANK YOU Freddy. My theory is maybe because I'm a funklub member? Besides that they do weekly giveaways on Wednesdays and 50% off deals on other days. I believe they also choose a funklub member randomly on the daily social media giveaways. imbatgirlpop wrote: Do you have to renew each year? No it's permanent for life. My theory is eventually they will sell out and not make anymore. They had a different one several years ago. I just think it’s cool to get the pop and pin and have a number in the klub. Plus always a chance to win in giveaways for members. Cool thx. I bought mine a few years ago. You are all set then, welcoem to the Klub! Welp after reading this thread I had to go and join the Funklub in case they sell out or decide discontinue. Fingers crossed for fast shipping. I need to look up my Funklub number now. When I signed up I was on the cusp of the old membership and the new. I printed out the application and sent it in, but then had to actually go online and register.